Roaring Oaks Florist is the premier floral delivery company in Lakeville, CT. Conveniently located behind the Boathouse on Main St., this locally owned and operated boutique flower shop is known for their beautiful floral arrangements and friendly customer service. No matter the occasion, Roaring Oaks Florist will create the perfect bouquet and deliver it directly to your loved ones, all at an affordable price. Browse the online catalog at Roaring Oaks Florist and expect to find stunning floral arrangements for any occasion, from birthdays and weddings to funerals. Hand-crafted by their professional floral design team, their bouquets feature fresh flowers, quality vases, and attractive trim. Regardless of whether you need bouquets, centerpieces, or even boutonnieres, Roaring Oaks Florist can provide your event with bulk flowers and punctual delivery, guaranteeing 100% satisfaction with your product and service. If you think that once you've seen one florist you've seen them all, think again. Roaring Oaks Florist sets themselves apart from other floral delivery companies by offering personalized care on all orders, regardless of the size or specifications. More than your average flower shop, these floral design specialists have assembled the area's most beautiful arrangements, using everything from lilies and daisies to orchids and roses. In addition to their selection of fresh flowers, Roaring Oaks Florist also offers gift baskets, candles, and treats to personalize your order and make your flower delivery extraordinary. Visit Roaring Oaks Florist online to place an order, or call them directly for assistance at (860) 364-5380. Stop By the Open House at Roaring Oaks Florist Saturday, April 16! 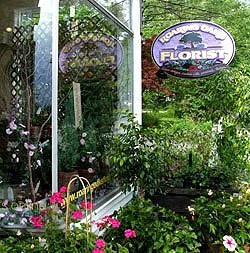 Buy the Best Fresh Flowers for Your Valentine from Roaring Oaks Florist!